Pregnancy is a very precious time in a woman’s life, but it can also be overwhelming and daunting, both physically and mentally. During this passage of time, pregnancy massage can provide physical comfort and relief, relaxation & reassurance. After all, your body is designed to adapt and thrive through pregnancy and into the post natal period. Every pregnancy is different, every woman is different so rest assured that you will not be offered a ‘one size fits all’ pregnancy massage with Bristol Massage Therapy. No tables with holes cut out, you will be encouraged to lie on your side, supported with a range of pillows and cushions to enable to you be as comfortable as possible. Victoria (currently on maternity leave herself) chose to write about the role that massage can play in helping and supporting a father-to-be, with a particular focus on helping him develop a bond with his baby. This work has been turned into a series of articles – & this written work earned her a distinction! 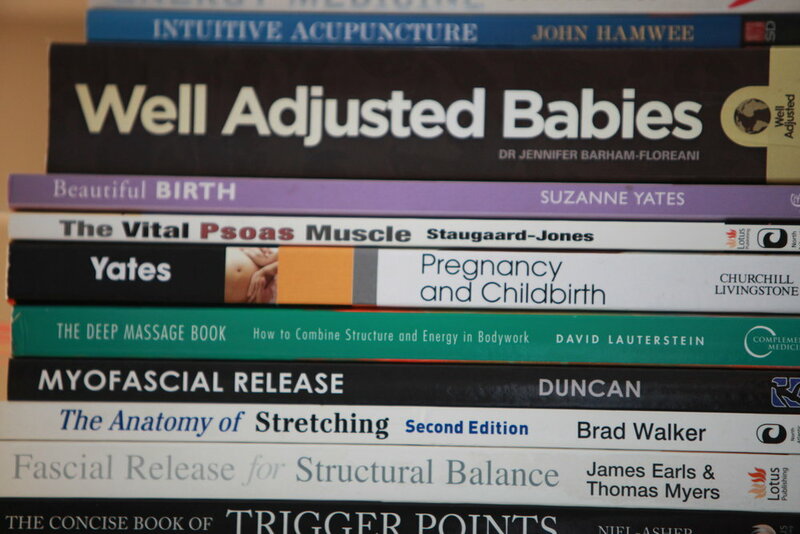 A must read for our pregnancy massage clients. Lindsay provides valuable information about oedema in pregnancy, what it is, when to be concerned, how to prevent it and how to reduce it. There are very few certainties in life, but change is certainly one of them. Thea looks at the role massage therapy can play in helping people ride through and even thrive through times of change, and all the upheaval that comes along with them. How are pregnancy and sleep are related? How might sleep patterns change during pregnancy, and what more we can do to get as much rest as possible. Many might think that you haven't slept well unless you have had a solid 8 hours of refreshing sleep, whereas in fact no two people will have the same night's sleep. Accepting variation is the key to realistic expectations of good sleep, so what can you do to help your sleep? Our pregnancy massage lessons offer fathers-to-be and other birthing partners the opportunity to learn some simple massage techniques to help alleviate muscular aches and pains that the mother-to-be experiences. This allows for at-home help throughout the latter stages of pregnancy and even into the early stages of labour. Post natal massage helps to reconnect clients with their body after the vast physical effort of making and growing a baby, the labour and birth, along with understanding the ‘new normal’. On top of all of these benefits, the appointment brings some well earned nurture and rest. What might fathers-to-be be able to do to help their partners feel more comfortable during the latter stages of pregnancy and early stages of labour? Massage for Fathers-To-Be ... What's a Man to Do? During pregnancy, labour and into the post natal period, what is the role of a new father-to-be and how might massage help him to find his new role in his relationship and expanding family unit? The role of fathers-to-be has changed unrecognisably in the past few decades. How might massage help his walk this changing path into fatherhood? A series of articles exploring the role that massage can play in helping to support a father-to-be during a transformative time in his life, with a particular focus on how it can enable him to bond with his baby. Massage during the third trimester usually focuses on working to resolve the physical discomfort this latter stage in pregnancy brings to the fore. However at the same time, there is an invitation to relax, recharge and prepare for the great transition to come. The 'middle' trimester is a time of great transition, and massage appointments can provide a safe haven for expression, an exploration of a changing body, an opportunity to start to bond with the unborn child. Ever experienced puffy ankles or slightly swollen legs at the end of a day or after a flight? You may be experiencing a build up of lymph, and some simple DIY lymphatic drainage techniques might help alleviate these symptoms.